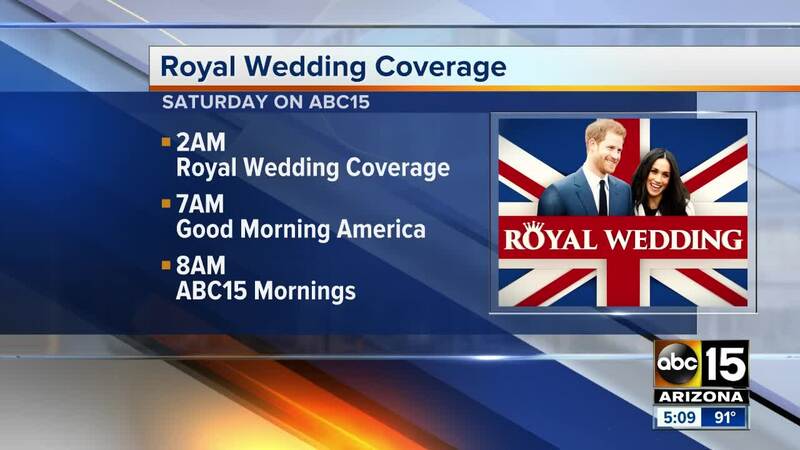 The royal wedding is on Saturday, May 19, and because of the time difference, the festivities start nice and early at 2 a.m. Arizona time (5 a.m. EST) and the wedding ceremony begins at 4 a.m. Arizona time (7 a.m. EST). If you're reading this, you probably didn't get an invitation to be at the wedding in person, but that's OK! There are plenty of ways to watch it. TV: ABC15's Good Morning America coverage starts at 2 a.m. and goes through 7 a.m.
Online: You can also watch on our website, ABC15.com , or Facebook page ! If you don't want to get up at 2 a.m., you can watch the full replay on Facebook. Movie theater: Fathom Events will be screening a late-morning version of the wedding at two AMC theaters in the Valley. 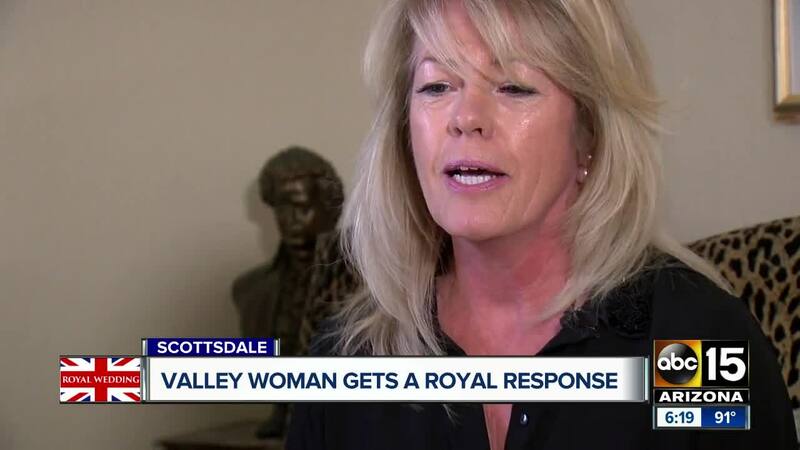 The AMC theater in Ahwatukee and the theater at Desert Ridge Marketplace will both screen ITV's coverage, a television channel in the United Kingdom. A third screening will be at the Cinemark's Century Theatres in Oro Valley, Arizona, northeast of Tucson. The event starts at 10 a.m. Tickets are $10, plus tax, and can be bought online . If you do buy online, you can reserve your lounge seat. There are plenty of options. Now you just have to decide if you want to wake up at 2 a.m. or try to pull an all-nighter.